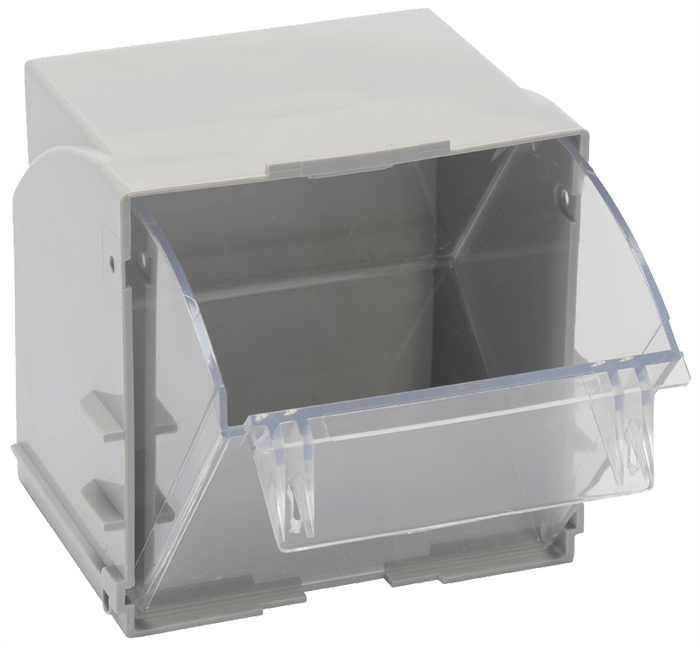 The Injection moulded TiltBin dispenser is designed for use with long-life parts or parts which do not necessary need to be stored in a KanBan system. Why not add a Coloured Ticket? The Ticket allows you to colour coordinate your work stations. 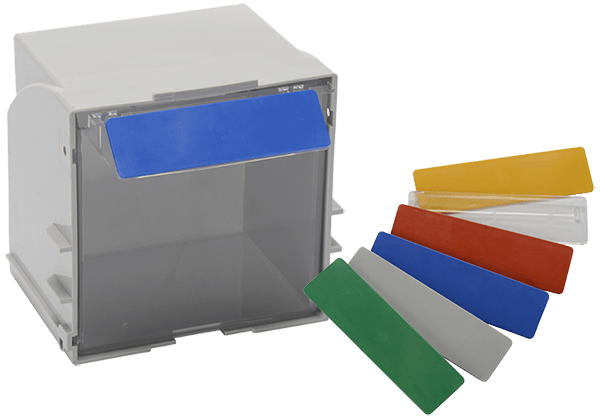 The clear ticket can be used to shield your barcodes from environmental damage.